My running friends ARE my family. I love my family, but they won’t come to visit me or spend much time with me, sadly. I graduated college, got married, bought a beautiful home in Charleston, but I can never please my parents or meet their expectations, sadly. I’m running the Kiawah Half Marathon in December and I have two friends running the full… one is running her first and one is going for a BQ. I’m so excited to finish my race, get recovered, then see them crush theirs. Running this year has been tough. I have only had maybe 2 races I’m proud of all year, but at least my friends and training partners I run with have done well. I feel like supporting others, we all contribute to their success… no one does it alone… so it’s worth celebrating with a friend BQs, PRs, runs first half or full marathon, etc. Yes! Running friends are great. Sometimes we talk about the most ridiculous things, but sometimes we dive into life. Runners are there for each other. Training with them is amazing too. I’ve even been helping runners find their speed this year and I love so much when they are happy about a run or break through a barrier into a new level of speed. Their joy is my joy and their success is my success. Oh yes, so many good convos on those long runs! I’ve been lucky to have supportive friends around me (even my non-running friends are supportive – they don’t understand, but they love me and support what I do). I don’t normally run with people because I just happen to like running by myself. I’m thrilled to death when my friends make their goals. When I was suffering the last few miles of Steamtown, the only thing I could think was that I had to make it to the end in order to find out whether Nell BQ’ed. Running to see her was the only way I could make it (yes, she did BQ). Totally!! That’s what got me to run faster at the end of Phoenix–I wanted to see how Ben did, LOL!! Sadly we found out yesterday she didn’t make the cut-off. Sad trombones. BOMA, you are a cruel mistress. I totally missed that your husband was training for St. George too. I can’t wait to virtually cheer you both on! Running friends are amazing. Having people to share in the ups and downs of training and racing, and who really can understand all the feelings that go along with it, makes it so much better. My running friends are what I miss most about my lack of running this year. ❤️❤️❤️ I wouldn’t want to shoot for this goal with anyone else!! I’m actually a little sad because I don’t have any running buddies, I mean serious running buddies, other than the bf who BQed last fall (and he only ran 5ks before we met!). I used to be part of the big triathlon teams here in Boston, and I also had a blog for years, so I had triathlon/running buddies IRL and through the internets (some of who I met IRL too!). After I stopped doing triathlons, shut down my blog and started to concentrate solely on running, I didn’t join a club or find a community. I think my non-running friends are pretty bored of hearing about all my runs by now! 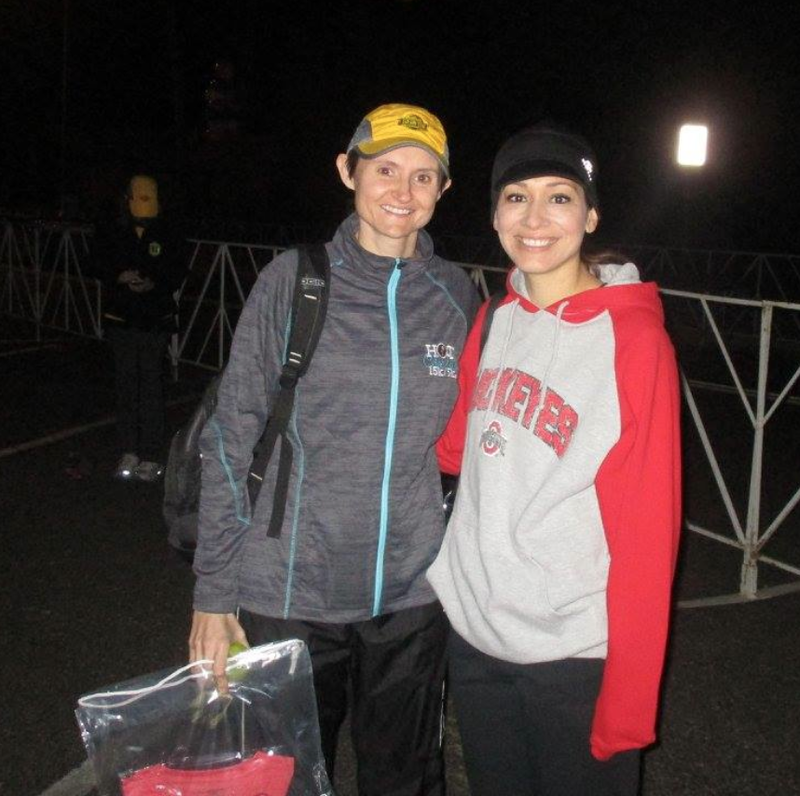 I love reading blogs of runners who I can relate to, and that means YOU! I have loved following your training and will be cheering you on from Boston! Get it girl!!!!! I know I’m partial but I think runners are the best kind of people to surround yourself with. Unfortunately at this point in my life I don’t have any running friends that live near me now (they’ve moved away). I love reading blogs like yours, though, and cheering on others. When I first moved to the area many years ago, I joined a couple of groups but never clicked with them. I should try one now and see how I like it. It is so refreshing to see women lifting each other up. This is why I adore you and your kind heart. It takes a strong (and kind) woman to be excited for others despite a bad training cycle. A positive attitude about yourself and others is a powerful tool to have during a big race like a marathon. You know my theory, regardless of how bad a training cycle was, you just never know what will happen out there. So keep that positivity pumping!